Finding success in any competitive market involves quality products that help you stand out from the competition, successful marketing campaigns to draw attention, and a deep understanding of the industry. Of course, all of this can mean very little without customer service to back it up. That’s why Induron focuses heavily on service and, since its founding, has prioritized customer relationships. Yes, they remain dedicated to making quality industrial coatings that their customers rely on, but they are just as dedicated to creating a service-focused culture, so they can offer a personal touch every step of the way. This attention to service is one of the main reasons Induron turned to UL when pursuing product certifications. For many companies, low costs or quick turn-around times dominate discussions surrounding certification. Both aspects are worth considering and remain just as important to Induron as they do to other companies, especially when looking to get to market quickly; however, even in the certification space, reliable customer service can completely transform the experience. When your company is already focused on providing great service, finding a company like UL whose values match your own is a big plus. In addition to providing certification to NSF Standards, UL experts can help guide you through the process, answering questions along the way and helping you overcome unexpected challenges. By empowering you to work directly with experts on the spot, UL delivers globally-recognized certifications and peace of mind that can only come from knowing someone has your back. Having direct access to someone with technical expertise is crucial, especially when evaluating product line changes, developing new products or facing product failures. Our team works closely with you to help you better understand the key aspects that can ease your path to certification, including specifics regarding the testing process, where the failure occurred and how the pass/fail decision is made. That’s customer service from start to finish. It’s the only kind of service we know how to provide at UL, and that makes all the difference to the Induron team. Around the globe, UL works to help customers, purchasers and policymakers navigate market risk and complexity. 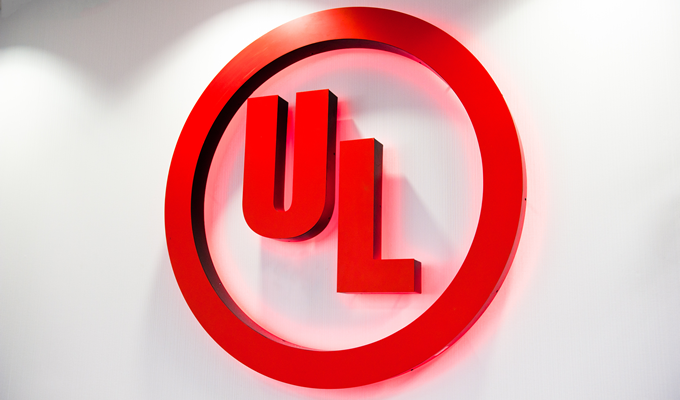 UL builds trust in the safety, security and sustainability of products, organizations, and supply chains – enabling smarter choices and better lives. In all we do, we apply science and expertise to enable the responsible design, production, marketing and purchase of the goods, solutions and innovations of today and tomorrow. UL certifies, validates, tests, verifies, inspects, audits, advises and educates. We provide the knowledge and expertise to help navigate growing complexities across the supply chain from compliance and regulatory issues to trade challenges and market access.